DEFINITELY WORLD CLASS MANSION! 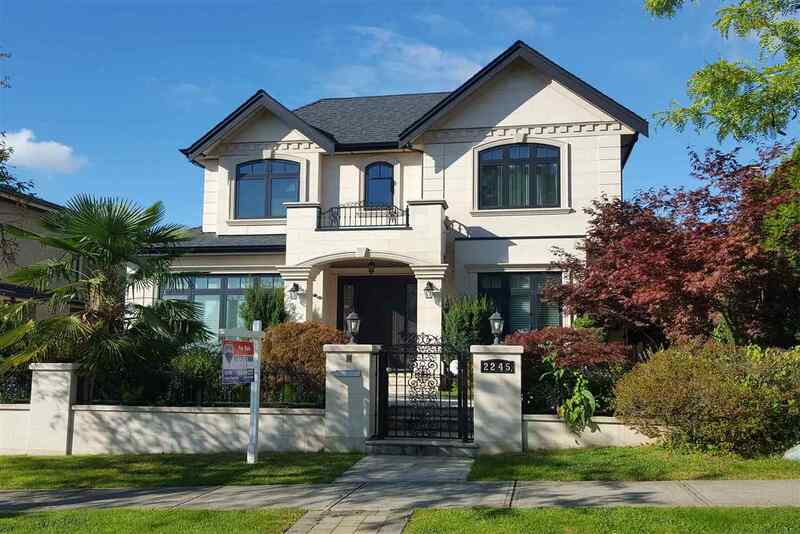 MAGNIFICENT CUSTOM BUILT QUALITY HOME IN MOST PRESTIGIOUS SHAUGHNESSY LOCATION.ALMOST 6,500 sq.ft. HOME,designed by well know Architect & Interior designer. Sits on high side of BEAUTIFUL LANDSCAPED LOT 86 X 120 (10,320 sq.ft.) W/VIEW OF MOUNTAINS. This beautiful home offers supreme finishing & QUALITY WORKMANSHIP.Grand foyer 11"ft ceilings open on to living/dining,5 bedrooms & den,6.5 baths. Huge Gourmet kit w/high-end cabinetry & appliances.Large centre island w/granite counter top,HOME THEATRE,GORGEOUS INDOOR SWIMMING POOL,SWIRL POOL,SAUNA,STEAM BATH,WINE CELLAR,RADIANT FLOOR HEAT, A/C, HRV,HOME SMART SYSTEM WITH TV. & CAMERA.LOVELY BACKYARD W/huge patio GOOD FOR ENTERTAINING & BBQ. Close to PW HIGH, SHAUGHNESSY ELEMENTARY,YORK HOUSE, ST.GEORGE'S, CROFTON & UBC. MUST SEE! PL VAP6011 LT 10 BLK 666 DL 526 LD 36.